In the Bible, God cannot resist the prayer of a godly woman, and a godly woman cannot resist communicating with God. Women’s prayers have tremendous power to touch the heart of God, move the hand of God, change the mind of God, and attract the favor of God. Four spiritual tools every mother can useFive prayers for when your family is in troubleHow to prepare your children for their destiniesHow to pray your lost sons and daughters back homeHow to break Satan’s stronghold over your bloodlineYour scarlet thread is your faith that holds on to a promise when the town is shaking and walls are falling all around you. 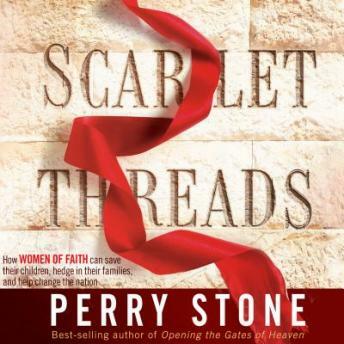 Your scarlet thread is your prayer that will protect your family from outside battles. Your scarlet thread is what you tie around your loved ones, holding the rope until you can lift them from the pits of despair and destruction. From one act of faith — a scarlet thread in a window — a family legacy was forged. It is time to do the same with yours.